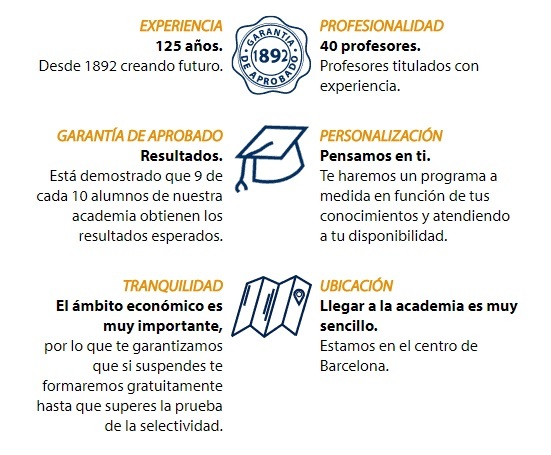 Our academy has 120 years of experience, so we can guarantee that you will obtain the expected results if you contribute predisposition. Since 1892 creating the future. It is proven that 9 out of 10 students in our academy obtain the expected results. We will make a program tailored to your knowledge and attending to your availability. so we guarantee that if you suspend we will train you for free until you pass the test of selectivity. Reaching the academy is very simple. We are in the center of Barcelona.